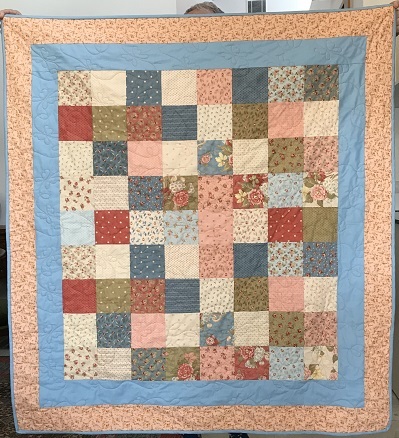 I Quilt, Therefore I Am: Quilt 109 - "Old Fashioned Charm" Baby Quilt - Done! Quilt 109 - "Old Fashioned Charm" Baby Quilt - Done! 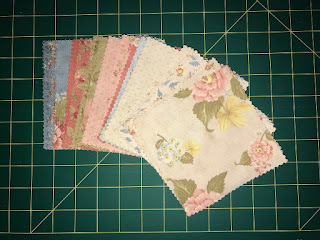 I had scraps left over from previous projects that worked extremely well for the borders. A soft powder blue (solid) and a peachy flower print which, although the fabric isn't a Moda print, it marries well. 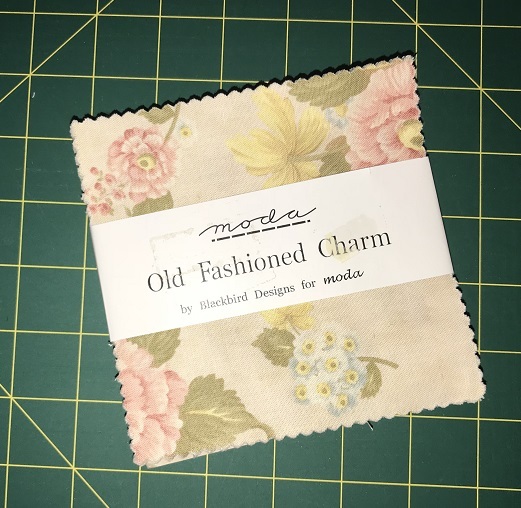 There isn't actually any peach coloured flowers in the Moda pack, but with the blue border to seperate the squares from the peach border, it more-or-less fools your eye. I used a new groovy board set on this one: "Butterflies". This was the easiest and fastest groovy board I've worked with. 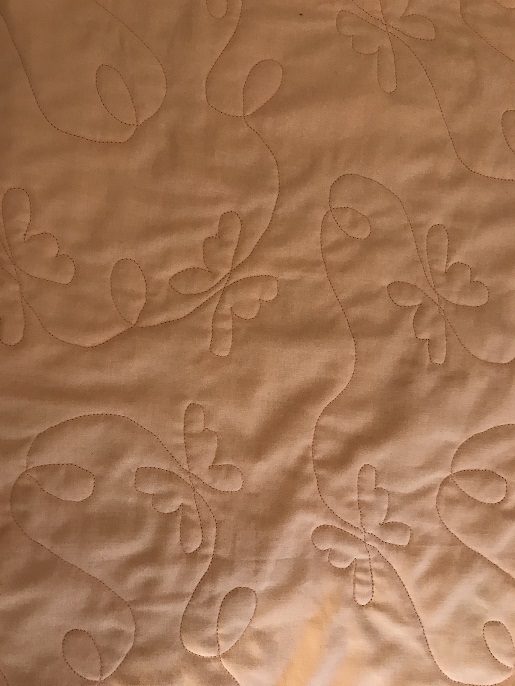 Easy because there just no measuring or adjusting to advance the quilt - just line up along the bottom of the board and go. 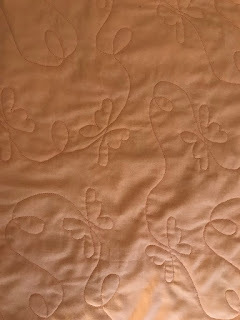 And fast because the quilting on this is nowhere near as dense as any other machine quilting designs I've used, so it whipped up in no time! butterflies and swirls from the groovy boards. Quilt 111: "Queen of the Ranch" - DONE!